Welcome to the world of Count Dracula where feasting on human blood is an everyday meal! 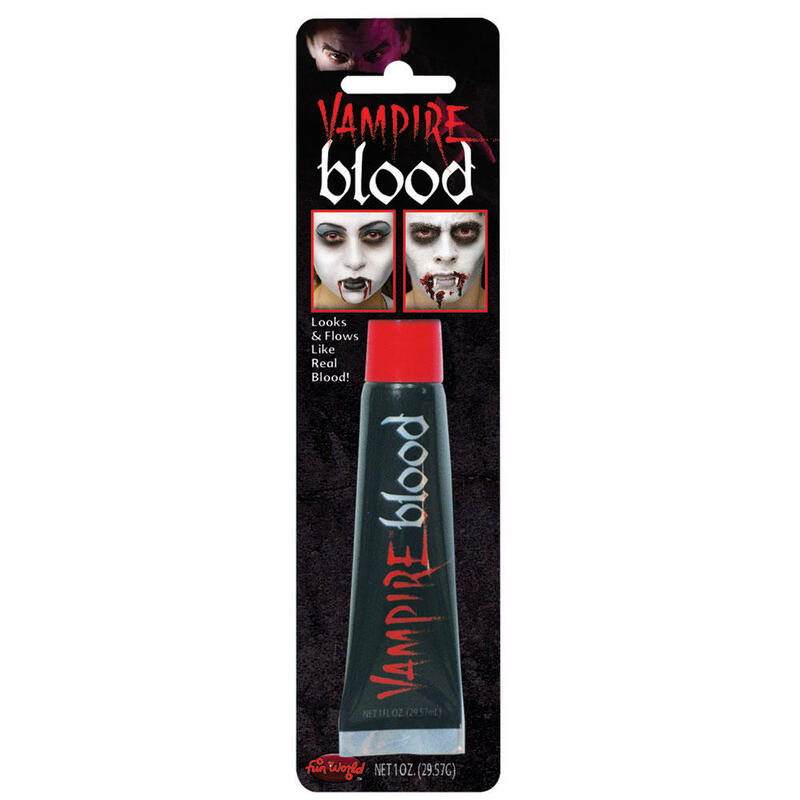 If you want to add the final touches to your vampire costume or Dracula fancy dress then a tube of Vampire Blood will make you look like you have been feasting on humans! 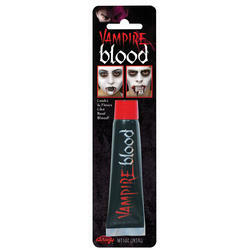 Includes a 1oz tube of fake red blood which looks and flows like real blood. Look like a realistic blood sucker in moments and feel confident that you will look like the best vampire around at the Halloween fancy dress party.